I probably would not have been so hyped about this tin if I had not opened the format staple Solemn Strike. I got the magic starter deck because I dig the art for this Nissa. I ended up selling the packs that came with it. Also I’m going to try playing Atraxa, since red is the color I used the least in Progenitus. My Roommate pulled the nice Masterpiece from his Kaladesh packs also. 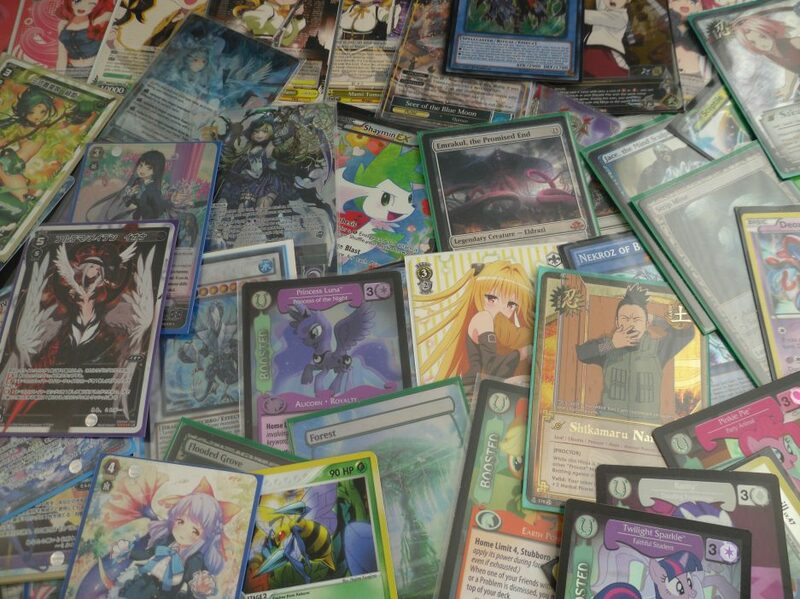 Second thing I want to do in this post is thank a close friend who sold me collection after deciding to quit Yugioh. He’s been constantly selling high-end cards to me offering great deals ever since I met him and it’s meant a lot to me. I wouldn’t have nearly as strong a collection without all his help. I wish him the best of luck in competitive Overwatch. Invasion: Vengeance Sneak Peek, What even happened here? Why was it so terrible? To complete a day wherein I got 3 hours of late beforehand (on a cold museum floor) I must recall the events of the earlier Yugioh Sneak Peek. I’m beyond tired so this is going to be short. Results from the first 5 packs. Pulls from all 10 packs. Yep even at 2 AM that wasn’t funny. I’m sorry. One of my friends did open said Rank 2 Xyz alongside winning the raffled mat. This is when the store offered a win-a-box tournament, however he forgot his deck so he borrowed/augmented my Tellar Ties deck for the event on the spot. So like we built this deck on the spot using cards from my deck and our pulls. Why didn’t I enter you ask? Well I didn’t have Silver Gadget at that point so my ABC deck wasn’t complete (I now have said gadgets). And so the story started cool, got less cool and thus ended in sadness. Anyway, the ABC deck is almost done (bar the Pot of Desires I have no intention of being). I’ll likely discuss it after I get in more playtesting. As for the event it was not as fun as Shining Victories or Breakers of Shadow in that the common/low rarity archetypes don’t interest me at all (Chimecritters and Crystrons? Yeah no thanks). I’m somewhat excited to start building Predator Plants though the fact that they’re now called Predaplants has somewhat lessened my enthusiasm. In conclusion too many meme-names this set. $35 Yugioh Star Pack Box? $8 Tin Goldfish? What could possibly go wrong? I wish I could find a time to post about my card game exploits at some time other than 3-4 AM. Anyway, this blog post is about the last 2 Yugioh related things I did. So a buddy of mine thought it would be a decent gamble to crack Star Pack 2014 in order to get Tin Goldfish and Photon Thrashers for new meta decks (Heroes and ABCs). We got each on Amazon for $36. Tin Goldfish is $10 and Thrasher is $5. Could we break even or plus? You already know the answer. You seldom plus, but you often break even. Honestly, I loved opening this set. $36 for 50 three card packs? Packs filled with generic Xyz monsters? Sign me up! This box opening has fueled the extra of many jank format Yugioh decks. Due to Thunder End Dragon being $2 or adequately explained reason this wasn’t a terrible box value-wise. I already had Photon Thrashers from my jank decks so these are just extra for me to move online. Only getting 2 Goldfish hurts, but it was still a fair opening. So after buying into multiple Yugi’s Legendary Decks II and decided to try out Satellarknights updated with Ties of Brethren. This deck is in a very initial stage so most of my choices (all of my choices) may not be optimal. Yes I only have 2 Ties at the moment. I have the 3rd in the mail, but ran the deck with 2 last night. There were a lot of flaws in this extra deck, but at the end of the day Triverr is all that really matters. This was a surprisingly unfair match up in my favor. The mix of traps and Altair effectively kept my opponent from getting off the ground at all. Game 2 I opened turn 1 ties and walled up behind multiple traps. It was scarily one-sided after I Nova-Alpha countered his first Yosenju. So both of us were playing low monster count high trap count decks. As a result our game 1 was a 20 minute grindfest. Every creature got destroyed one after another. He had double Burden of the Mighty on board so my only path to victory was poking with weak monsters while keeping his guys off the board. I couldn’t go into Triverr due to my opponent setting up multiple Void Trap Holes off Myrmello and Duality. The early game I bricked opening only my own Myrmello and double Stellarnova Alpha. My opponent played Prohibition on Stellarknight Altair (which I of course drew). I ended up using Call of the Haunted to reanimate Myrmello to destroy Prohibition. After getting out Altair I began the next leg of the battle. How do you kill Wind-Up Rabbit and Evilswarm Thunderbird when you play a deck of targeted and mass removal? My answer was use trap to get said chain beat dude to attempt a tag out, then using Stellarnova Alpha to negate and destroy it. This incredibly resource intensive play downed 1 Rabbit and 1 Thunderbird before the end of Game 1. I won the match with 5 cards left in deck as a 700 attack Deneb launched the final direct attack. Game 2 I forced through Triverr early on and took the game by defending him with a pile of traps. It wasn’t nearly as satisfying as the first match up though. That game was the most grindy Yugioh game I’d played in ages. I’m certain this deck isn’t actually competitive without Solemn Strike (which I have no intention of buying), but it’s also on par with my Kozmo deck so I’m not sure which to play if I either keep playing either with the new ABC deck coming out. Regardless, it was a nice change of pace and a fairly fun deck to play. Similar to when card of Demise came out, I’d argue that Ties of Brethren may offer a chance for Tellarknights to exist in this format as an acceptable rogue deck.